A New Zealand dolphin, one of whose two subspecies, the Maui’s dolphin, is critically endangered with a quickly diminishing population. 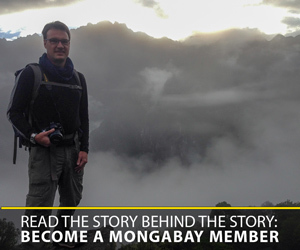 Photo credit: Steve Dawson/NABU International Foundation for Nature. Maui’s dolphins (Cephalorhynchus hectori maui) are edging closer to extinction. Strikingly marked, with a dark, rounded dorsal fin that has been likened to a Mickey Mouse ear, the dolphins max out at just four and a half feet long. A pair of new papers highlight the dolphins’ plight and present data showing their population has reached a new low, with fewer than 47 individuals remaining alive. The papers were presented at the annual meeting of the International Whaling Commission’s (IWC) Scientific Committee in San Diego, which ended earlier this week. Maui’s dolphins live only off the western coast of New Zealand’s North Island, whose Maori name, Te Ika a Maui, inspired their own name. They and a closely related subspecies called Hector’s dolphins (Cephalorhynchus hectori hectori), which live only in three small populations around the country’s South Island, are together known as New Zealand dolphins. Maui’s dolphins have declined sharply since the 1970s, primarily as a result of accidental entanglement in fishing gear, which drowns or maims hundreds of thousands of cetaceans around the world each year. The Maui’s dolphin population now stands at between 42 and 47 individuals, down from 59 in 2010/2011, according to a paper by Barbara Maas, Head of International Species Conservation at the German conservation group NABU International Foundation for Nature. There are currently just 10 to 12 mature females alive. Previous research estimated that Maui’s dolphins could sustain just a single human-induced fatality every 10 to 23 years. But every year as many as four of the dolphins die after becoming trapped in fishing gear — 54 times the sustainable level. At the present rate, the dolphins may be extinct in 14 years, according to Maas’s paper. A Maui’s dolphin encounters a fishing net. 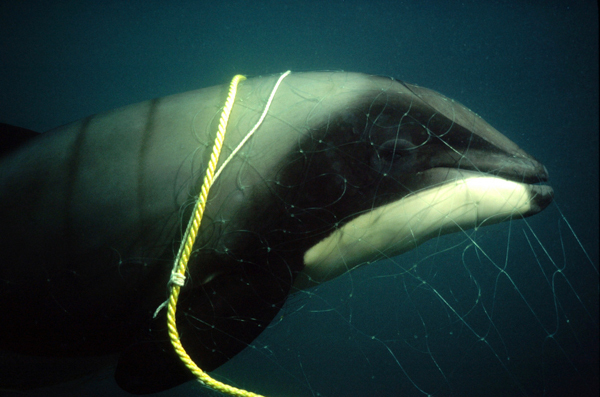 Fishing gear is responsible for more than 95 percent of Maui’s dolphin deaths. Photo credit: Steve Dawson/NABU International Foundation for Nature. Conservationists have been sounding the alarm about Maui’s dolphins for years. In 2012, a scientific panel convened by the New Zealand government estimated that gillnetting and trawling are responsible for more than 95 percent of Maui’s dolphin deaths. Less than 5 percent of the animals’ habitat is currently protected from trawling, and 19 percent is protected from gillnetting, up from 16 percent after small expansions of the protected area in 2012 and 2013. In both those years the IWC Scientific Committee recommended urgent conservation measures to protect the dolphins. In 2014, its annual meeting report noted that even with the small protected area expansions, New Zealand’s "current management situation falls short of that required to reverse the Maui’s dolphin decline." The report continued: "[R]ather than seeking further scientific evidence it is of highest priority to take immediate management actions that will eliminate bycatch of Maui’s dolphins," and it recommended that gillnetting and trawling be banned across the dolphins’ habitat. The IUCN, which lists the dolphin as critically endangered, and the Society for Marine Mammalogy issued similar recommendations, according to Maas’s paper. The paper criticizes the New Zealand government for beginning development of a five-year research plan for the species rather than taking immediate conservation action. "Maui’s dolphin numbers continue to decline because a unanimous and strong, science-based conservation message is not translated into management actions," Mass writes. Another paper presented at the IWC meeting found that the small protected-area expansions implemented in 2012 and 2013 were essentially ineffective. With or without them, the study predicted a 95 percent likelihood that the Maui’s dolphin population will dip below 30 individuals by 2033, and a 50 percent likelihood it will dip below 10 individuals. 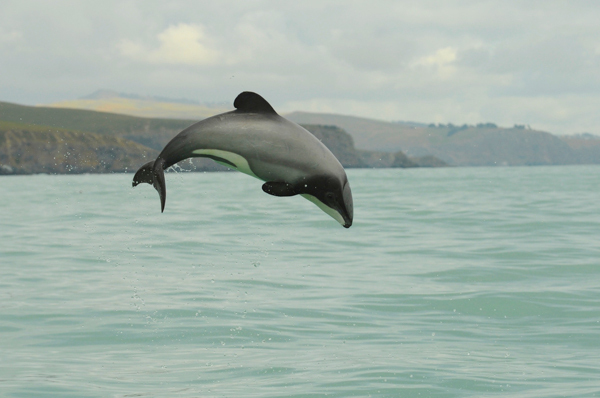 By contrast, if the New Zealand government follows the IWC committee’s recommendations, the study predicts the dolphin’s odds will improve considerably, to a 40 percent likelihood of increasing. In recent years, new threats to the dolphins have emerged in the form of seismic testing and activities related to oil and gas production in and around their habitat; neither paper factored these into their calculations. Conservationists are calling on the New Zealand government to take action. "New Zealand has so far shirked its responsibility to protect the last Maui’s dolphins. For three years running, IWC scientists have urged the New Zealand government to ban the use of gillnets and trawling across their entire habitat. But New Zealand has stubbornly ignored the scientists and is selling out this rare species for shortsighted economic reasons," NABU posted in a statement on its website. Maas, B. Estimated population size and decline of Maui’s dolphins. IWC SC/66a/SM/21 Rev 1. 2015. Slooten, E. Effectiveness of partial protection for Maui’s dolphin. IWC SC/66a/SM/12. 2015.